A big thank you to Heather who named my pillow fabric yesterday...I can't believe I was in the dark for so long (I had indeed tried to search it out with keywords, but never landed on the proper name). I'm hopelessly devoted. This is fabric perfection. Isn't each swatch a work of art? 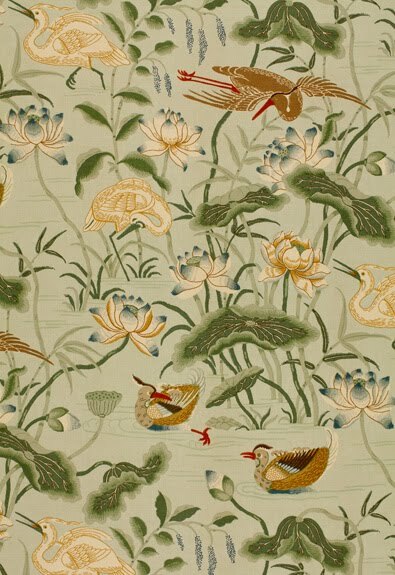 I'm all for the whimsical side of Chinoiserie, but this fabric epitomizes Chinoiserie elegance. The stylized birds and flowers are beautiful and I think the Tobacco strikes a nice chord between masculine and feminine. I also love the mix of colors in each option. 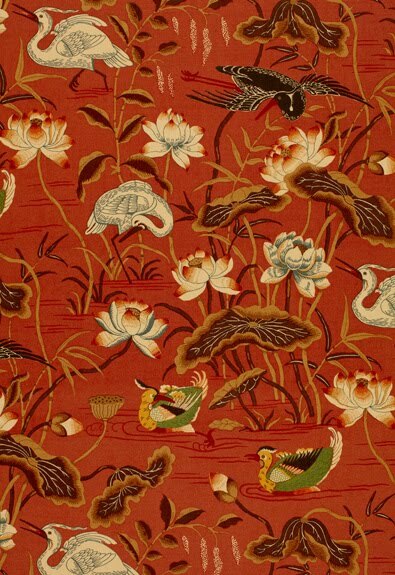 And since I have the Lacquer, I can attest to how drop-dead divine this fabric is in person. Ok, I could go on and on. A fabric like this is a luxury (and worth every penny) but don't forget that a little yardage goes a long way. I was able to make a huge pillow that is the centerpiece of my room with less than a yard since I backed it with inexpensive coordinating fabric (which I also think makes for a more interesting pillow). And, I still have a piece left over to do something else in the room like cover a chair seat or make another pillow. Consider small ways to incorporate stunning fabric - pillows, framed panels, a chair seat. 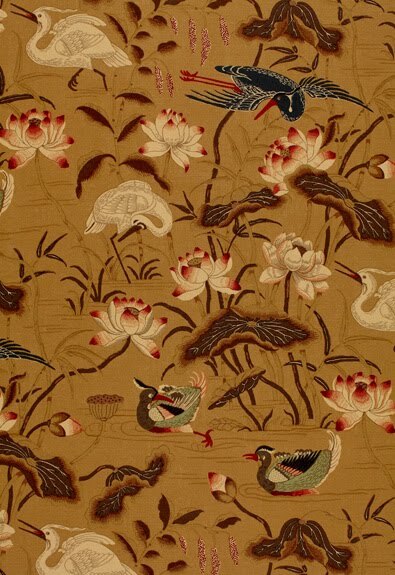 Fabric this beautiful easily takes center stage, even in small doses. 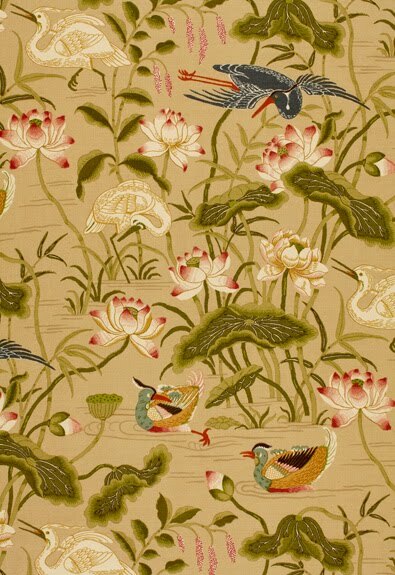 This is a great fabric! Laquer has the most impact but I love Bamboo as well. Still can't wait to see how you pulled it all together.